.. data, tools and methods to analyze metro business patterns and trends .. the most current and comprehensive measures of business activity by county, metro and higher level geography are provided by the Establishments, Employment & Earnings (EEE) database. Use the resources described here to analyze establishments, employment and wages by metro for the most recent quarter and over-the-year change — by quarter 2013 through 2015. Updated quarterly, the 2016Q1 data become available September 7, 2016. See the related Web section for more details. These metro by metro EEE datasets are closely integrated with the metros Situation & Outlook reports. Click a CBSA code in the “Code” column in that table then select related section 6.6. to access/download quarterly data for a metro. Where Does America Make Things? The graphic below shows percent employment in the manufacturing sector (employment in the private manufacturing sector as a percent of total private sector employment by county). This view illustrates how the EEE data can be used to develop insights. Click graphic for larger view providing more detail. Use the GIS tools to analyze similar patterns for any industry. Interpreting this map graphic and alternative data resources … join us in a Data Analytics Lab session where we discuss making and interpreting this map view and alternatives. – view developed with ProximityOne CV XE GIS and related GIS project. 1) Use the interactive table in the Web section to example total establishments, employment and wages for any selected MSA and/or in comparison with other MSAs. for the most recent quarter ..
for over-the-year change (previous year, same quarter .. Updated quarterly, use the interactive table in the Web section to view, rank, compare individual metros with other metro. The following graphic shows metros ranked in descending order by 2015Q4 average weekly wages. Columns to the right show over-the-year (2014Q4-2015Q4 in this case) characteristics. Access/download quarterly establishments, employment & earnings data by detailed NAICS category using theSituation & Outlook Metro Reports. Select a metro from the interactive table by click a link in the “Code” column. The S&O metro report opens in a new page. In the table of contents, select section 6.6. from the table of contents (Establishments, Employment & Earnings by Detailed Type of Business). See this example for the Chicago metro. 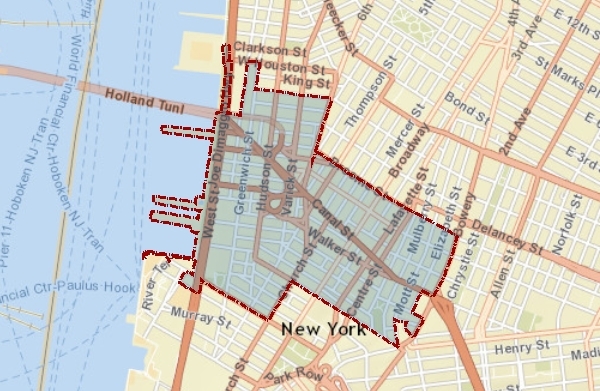 See the related Web section for more details on using the download data files. .
Pre-computed location quotients are included in the downloadable files. Location quotients (LQ) are ratios (indicators) that measure the concentration of an industry within a specific area (metro in this case) to the concentration of that industry nationwide. If an employment LQ is equal to 1, then the industry has the same share of its area employment as it does in the nation. An employment LQ greater than 1 indicates an industry with a greater share of the local area employment than is the case nationwide. For example, Las Vegas will have an LQ greater than 1 in the Leisure and Hospitality industry because this industry makes up a larger share of the Las Vegas employment total than it does for the nation as a whole. Employment LQs are calculated by first, dividing local industry employment by the all industry total of local employment. Second, national industry employment is divided by the all industry total for the nation. Finally, the local ratio is divided by the national ratio. 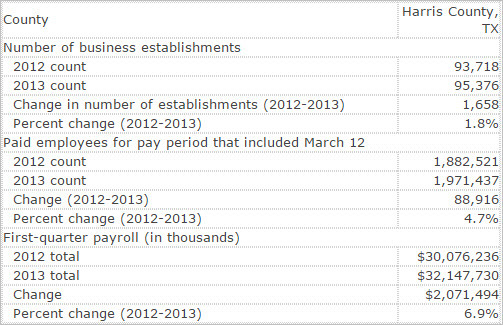 b) over-the-year change for each of establishments, employment and wages. Location Quotients will be reviewed in more detail in an upcoming blog post. • Tabulated for all counties, metros, states and the U.S.
• Tabulated for detailed types of business (6-digit NAICS). • Tabulated quarterly and annually, the data enable time-series modeling. • Employer-based administratively collected data; not estimates. – data for first quarter 2016 (2016Q1) are available mid-September 2016. .. an overview of the Federal statistical system and how to access data .. the U.S. Federal Statistical System offers a vast array of diverse data resources that are useful in wide-ranging planning and analytical applications. 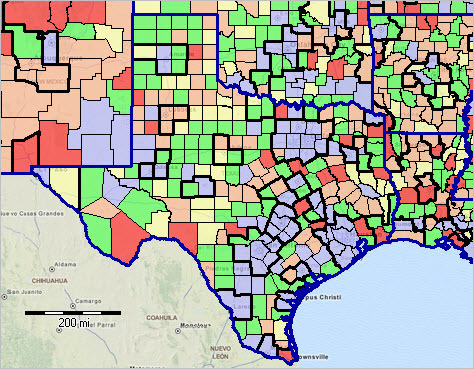 Many of these data resources, such as census block level demographics from the decennial census, are unique in scope and content; in many cases there are no alternative data resources. But there are issues/challenges for the data user to navigate the Federal Statistical System. Examples … the Bureau of Labor Statistics releases total employment data by county quarterly and monthly through multiple programs. The data values differ, for methodological reasons, but the net result can be confusion. The Census Bureau releases total employment data from many statistical programs by county both annually and more frequently. Where are these alternative total employment data and how can they be accessed? How do these various measures differ and which data are right for my situation? This section provides basic statistical program information. Subsequent updates will provide more detail. The remaining 62 percent of the FY 2016 budget involves more than 100 programs that conduct statistical activities in conjunction with another program mission. These statistical programs are components within a Federal department or other agency. They include a broad set of centers, institutes, and organizations in addition to the 13 principal statistical agencies. There are also Federal agencies whose statistical activities are not part of the Executive Branch. These agencies include the Congressional Budget Office, which develops and applies projection models for the budgetary impact of current and proposed Federal programs; the Federal Reserve Board, which compiles the widely used Flow of Funds report and other statistical series and periodically conducts the Survey of Consumer Finances; and the U.S. Government Accountability Office, which uses statistical data in evaluations of government programs. The following graphic is a snapshot of the Guide to Navigating the Federal Statistical System. See http://proximityone.com/fss.htm to access the entire guide. .. county & metro Establishment, Employment & Earnings (EEE) monthly-quarterly-annual time series by detailed type of business .. financial sector employment in Manhattan (New York County, NY) led the nation in average weekly wages at $8,932 during the first quarter 2015. Use the interactive table to examine characteristics of establishments (number, employment, earnings) for counties and metros by type of business of interest. See the related Web section for more detail. Follow that section for quarterly and interim data establishments by sector updates and use of tools to analyze patterns and trends. The most current and comprehensive measures of business activity by county, metro and higher level geography are provided by the Establishments, Employment & Earnings (EEE) database. Use the interactive table to view, rank, query, compare data on establishments, employment and wages by county, metro and state for high level industries. Subscribers to the ProximityOne Data Service (PDS) database can use the more detailed (6-digit NAICS coverage) with data structured for time-series analysis supported with modeling and data analytics tools. The graphic below shows percent employment in the manufacturing sector (employment in the private manufacturing sector as a percent of total private sector employment January 2015 by county). Click graphic for larger view providing more detail. Use the GIS tools to analyze similar patterns for any industry. Interpreting this map graphic and alternative data resources … join us in a Data Analytics Lab session where we discuss making and interpreting this map view and alternatives. The EEE quarterly data are based on employer reported data and provide EEE characteristics by detailed type of business collected and tabulated by the Bureau of Labor Statistics (BLS). Derived from reports submitted by every employer subject to unemployment insurance (UI) laws, the data cover 9.5 million employers and 136.2 million full- and part-time workers. – data for second quarter 2015 (2015Q2) are available mid-December 2015. Use these data to examine how a detailed type of business is changing in a county or metro … or how that type of business in one county/metro compares to another county or metro. Answer questions like how much of the healthcare sector in a particular metro is comprised by offices of physicians. Or, are the number of establishments in a business sector growing or declining? How are the characteristics of establishments in one metro changing relative to another metro? The following graphic illustrate use of the interactive table to examine characteristics of construction industry for California by county. The rows/counties are ranked on the rightnost column AWW15Q1 (average weekly wages, 1st quarter 2015) in descending order. It is easy to see that California was led by San Francisco county with $1,661 AWW reflecting activity of 1,564 establishments and January employment of 16,850. Click graphic for larger view. These data update quarterly. The next update includes data for 2015Q2 and becomes available December 17, 2015 (set reminder). 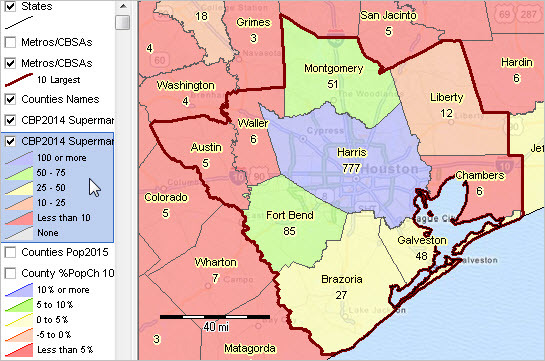 .. Harris County, TX (Houston) gained 1,658 business establishments between 2012 and 2013. How did the number and characteristics of business establishments in your counties or region of interest change? These data are available by county (and ZIP code) and can be used to determine which counties (ZIP codes) are experiencing business growth or decline and by how much. See more about this topic in the related Web section. These data are based on a annual count of business establishments by physical location that have at least one paid employee. A single company may have multiple business establishments. Attributes of individual establishments, including payroll and employment, are summarized/aggregated by county and ZIP code area. The establishment data are also summarized by the NAICS type of business code. See more about these data. Examine a specific industry such as construction. 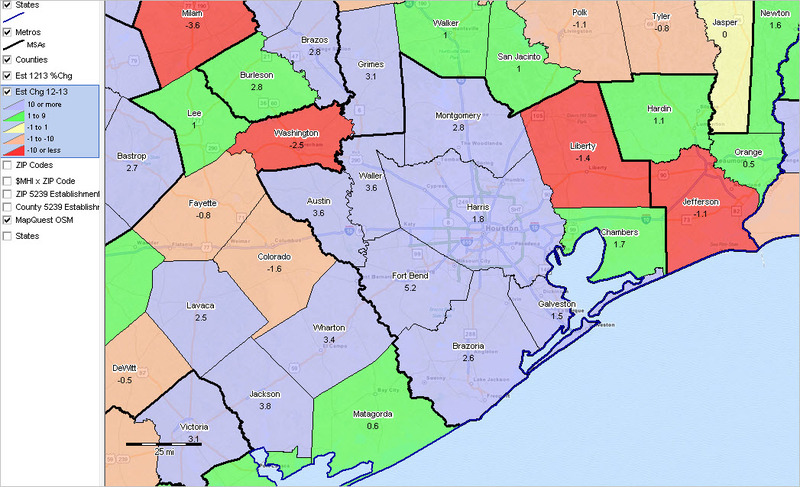 Among all counties, Harris County, TX had the highest 2013 employment in the construction industry (see more below). Where do your counties/ZIP code areas rank (in this or any other industry)? The following views illustrate how Geographic Information System (GIS) tools can be used to visually examine change in business patterns. Use the CV XE GIS and associated GIS project to examine establishments, payroll and employment by detailed type of business. These applications shown change for one year; choose a different set of years. Integrate your own data such as market territories or customer/prospect data to examine how business opportunities match up with existing and changing patterns. 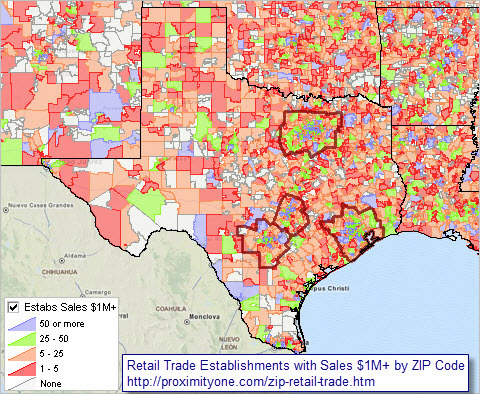 The following graphic shows the change in the number of business establishments by county in Texas and adjacent areas. Metros are shown with bold black outlines. Color patterns show change in the number of establishments between 2012 and 2013. 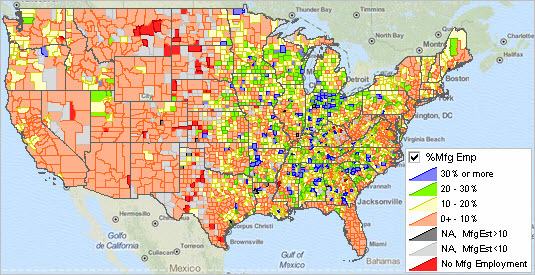 It is easy to see which counties have business establishment growth (blue/green) or decline (orange/red). 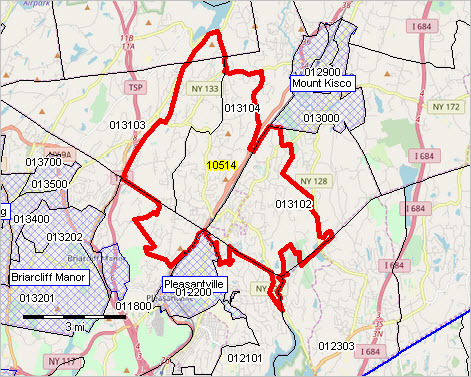 Use the GIS resources to develop similar business patterns views for any state/area in the U.S. The legend at left of map (click graphic for larger view with legend) shows establishment change intervals by color. — click graphic for larger view showing details. 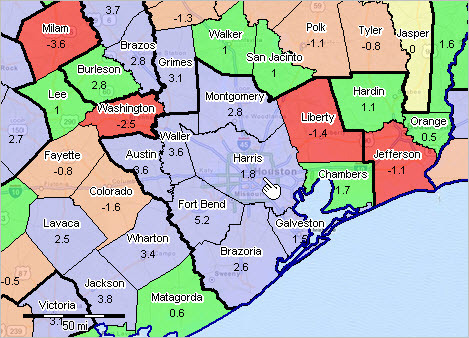 The following graphic shows the change in the number of business establishments by county with a zoom-in view of the Houston area. 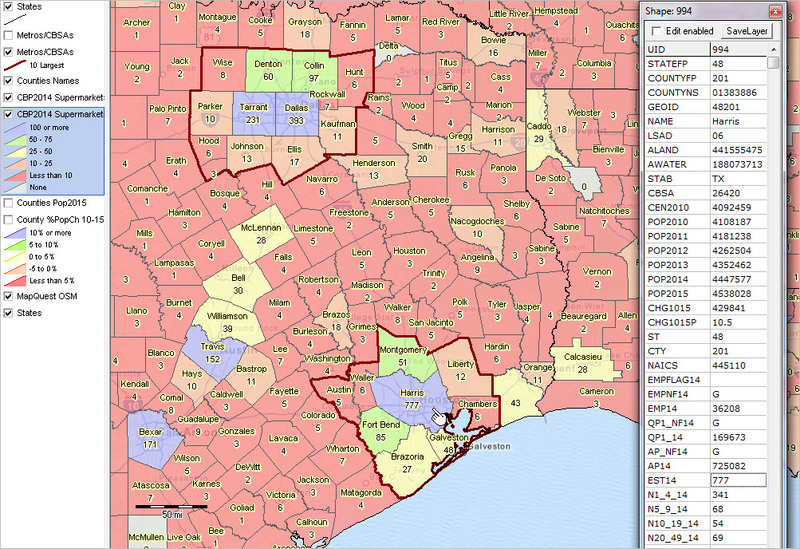 Use the GIS resources to zoom in to any county/region of the U.S. The legend at left of map (click graphic for larger view with legend) shows establishment change intervals by color. Counties are labeled with county name and percent change in the number of establishments between 2012 and 2013. The following table shows a basic overview of the change. There is much more detail available. 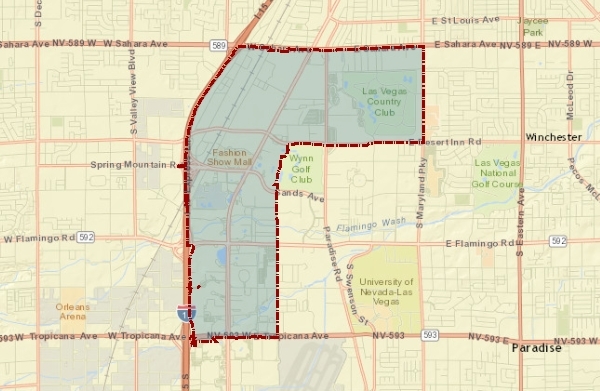 The GIS project enables mixing demographic with economic and business data. Consider a requirement to determine the list of 10 counties having the highest employment in the construction industry. The 2.1 million record database with county by type of business is opened with the CV XE GIS dBrowse operation/feature. Note that this database size exceeds the Excel limit. A query is placed on the database to show on NAICS (type of business) code “23—-” having number of 2013 employment of 10,000 or more. The query could have been any NAICS code in combination with another attribute or none. The table is then sorted in descending order on 2013 employment (by clicking the sort button). The resulting records/counties are displayed as shown. The county FIPS code 201 in state FIPS code 48 (Harris County) has the highest total construction industry employment in the U.S. It is easy to see the other top 10 (or some group) that are also highly ranked. The Count operation is used to shown how many counties meet this criteria; there are 118. Other selected attributes are shown in the table/graphic. This selection could optionally be exported to a file in a different format (e.g., CSV). 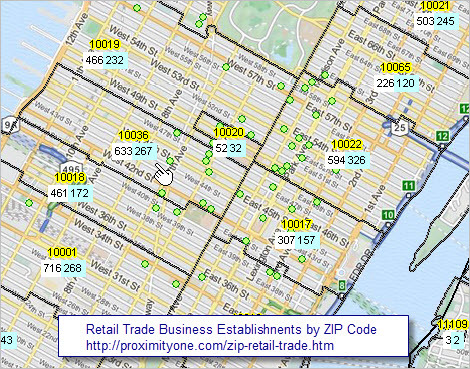 An upcoming section will review linking business establishment data with demographic data.